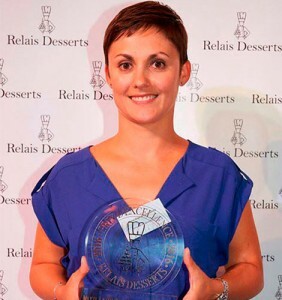 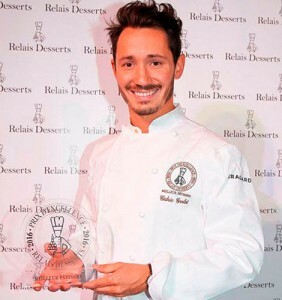 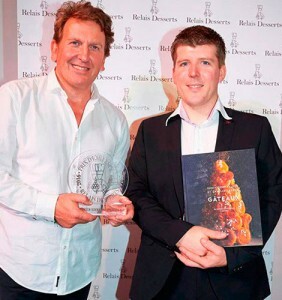 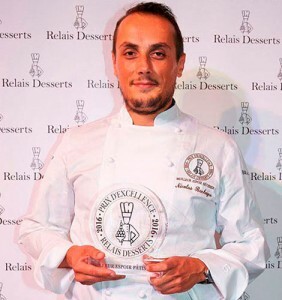 Relais Desserts held their annual awards ceremony in Paris this week, which is meant to recognize the talents of the members of the association. The main award, which is Best Pastry Chef, went to Cédric Grolet who at 30 is the current pastry chef at l’Hôtel Le Meurice. 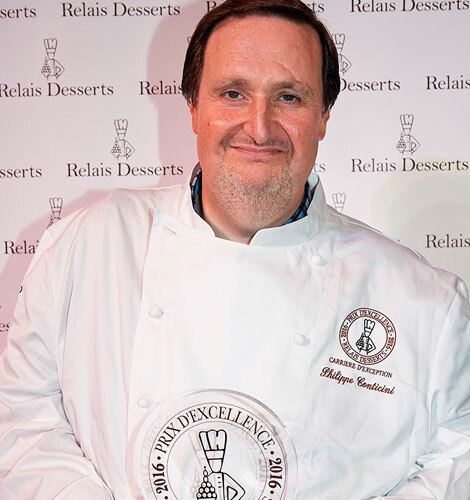 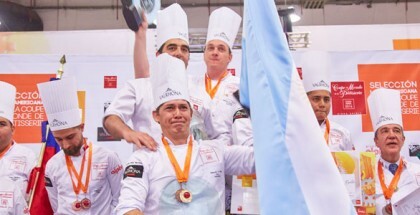 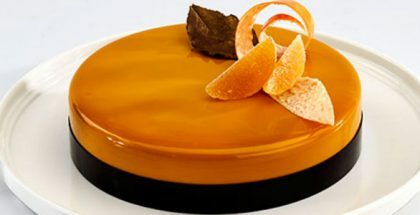 The jury also awarded the Best Up-and-coming Pastry Chef award to Nicolas Bacheyre from the Maison Cluizel, and the Honour Prize went to Philippe Conticini as a tribute to his exceptional career. In addition, the Best Pastry Book Award went to Christophe Felder and Camille Lesecq’s Gâteaux, and Best Pastry Blog went to Anne-Sophie Donnard’s “Surprises et Gourmandises“.